Flying long distances can be a hassle for any traveler, but if you have an opportunity to break that long flight into a layover then you can get relief from that long flight and it’s a great way to squeeze more mileage out of your trip. There could be a lot of stopover cities on the way to your destination, but if you plan it right, you’ve got yourself extra vacation. This is what QuestOrganizer helps you do. 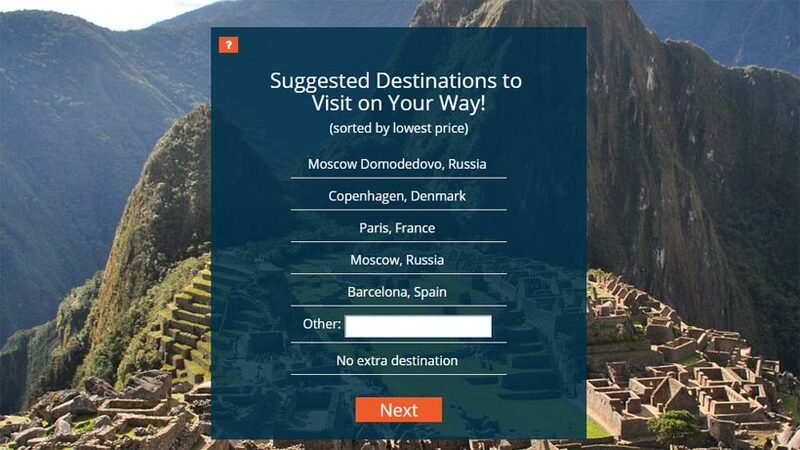 When you enter your origin and destination cities, and travel dates, the site will offer a list of suggested layover cities to visit before your travel destination. The list of cities may not be the ones you’d have thought, you can enter a new city of your choice. Also enter the number of days you want to spend at the layover and it will give you flight options for each leg. For our test, we entered London Heathrow as origin and Tokyo Narita as destination, and the website showed cities like Barcelona, Moscow, Copenhagen, etc. as possible layovers. 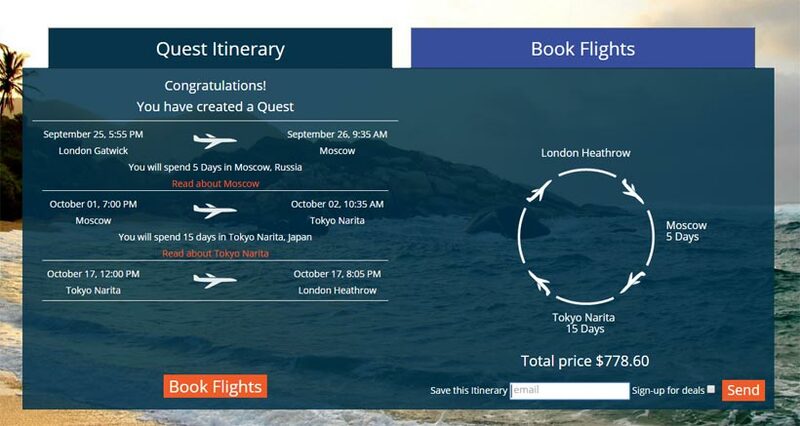 We selected Moscow and the website walks you step-by-step through each flight legs. For a return flight, you can select to have a direct flight or possibly explore another city with an ‘Return + extra destination’ option. Have you tried QuestOrganizer? Send your feedback in comments.